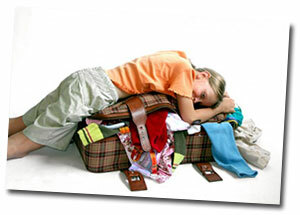 Employers will not be impressed simply by the fact that you studied abroad. Just putting, ‘I studied abroad in the UK,’ on your résumé will not have a huge influence. In fact, some employers may actually see it as a negative unless you unpack your experiences in a meaningful way. For example, some employers may be worried that you won’t stay long in a job because you want to travel again or you just went overseas to party. Or they might be concerned that you won't have enough interest or understanding of the local, Australian context. In general I was a bit ignorant of the way business operated and thought that study was the main thing. But definitely now I realise that employers really value you as a person, not just for your academic record. Michael, recent graduate, now working in Shanghai. You are better able to work with diverse people. In the video, career advisor, Alexandra Haaxman explores the ‘so what’ of studying abroad and the things you need to consider when unpacking your experiences. Employers look at more than your academic achievements – they want ‘work ready’ graduates who can show that they have specific skills and attributes. Listen to what one employer says about the value of international experience. 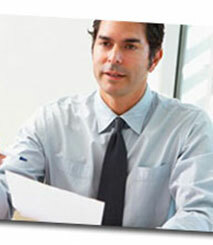 Glen has a senior role in a Government owned commercial investment management firm with about 530 employees. The firm has Australian offices in Brisbane, Sydney, and Melbourne, and international offices in the UK and the USA. With a global footprint that they aim to expand, they recruit new graduates in commerce, corporate finance, law, and accounting. It might surprise you to learn that surveys of employers show they are interested in similar skills and attributes regardless of their industry or profession. In the video, Greg Downey discusses the skills employers are looking for based on the National Association of Colleges and Employers (USA) survey in 2011. What effect has studying abroad had on you? Which of the top five soft skills developed most for you whilst you were abroad? In Australia, eight employability skills have been identified to clarify the skills and attributes that employers look for when seeking potential employees (Department of Education, Science & Technology, 2002, Employability Skills for the Future). Unpacking your experiences abroad in the context of these skills can help you make your experiences relevant to getting a job, internship or further study opportunities. How do the five skills you identified above compare with the eight top skills identified by employers? How can you translate your experiences abroad into practical, work-related examples? 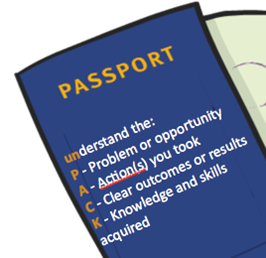 To help you focus while you unpack your international experiences, the un-PACK model is a useful tool. The four-step model helps you unpack your travel experiences to create meaningful and relevant examples you could use in a job application or your CV. You can apply the model to general life experiences or specific work-related experiences you had overseas. In essence, you are trying to help people understand your experiences from an employability perspective. Step 1 – think of a Problem you encountered or an amazing opportunity you had. of the Australian Government Office for Learning and Teaching. Unless otherwise noted, content on this site is licensed under the Creative Commons Attribution-ShareAlike 3.0 Unported License.